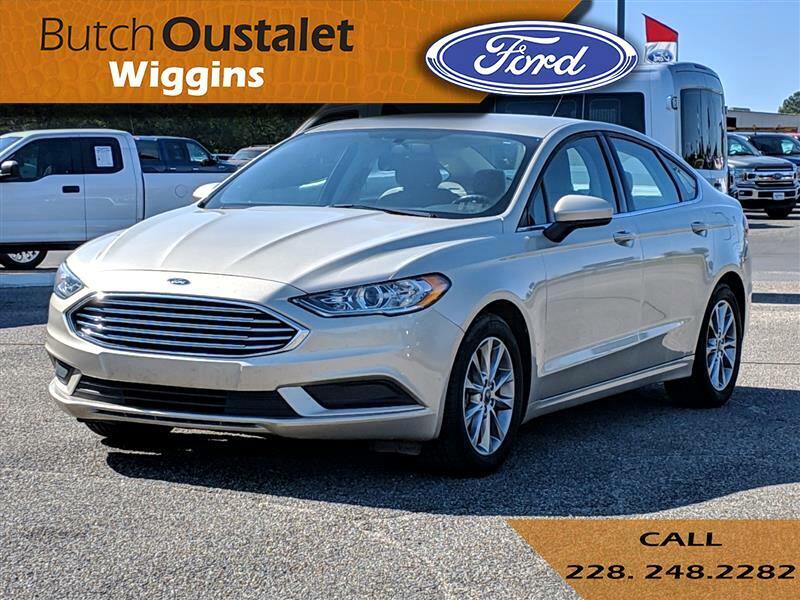 Used 2017 Ford Fusion SE for Sale in Wiggins MS 39577 Butch Oustalet INC.
CARFAX One-Owner. Clean CARFAX. White Gold 2017 Ford Fusion SE FWD 6-Speed Automatic EcoBoost 1.5L I4 GTDi DOHC Turbocharged VCT *CLEAN CARFAX*, *ONE OWNER*, Back up Camera, 6-Speed Automatic, Dual-Zone Electronic Automatic Temperature Control, Emergency communication system, Equipment Group 200A, Exterior Parking Camera Rear, Fusion SE Technology Package, Power driver seat, Power passenger seat, Remote keyless entry, Security system, Steering wheel mounted audio controls, SYNC 3 Communications & Entertainment System, Wheels: 17" Premium Painted Luster Nickel.